I’m the Delivery Manager on the Employer Ownership Pilot (EOP) Transition project. EOP offers employers in England direct access to investment so they can design and deliver their own training solutions. The transition project will move the current EOP system onto a new data collection platform. This will provide many benefits, including improved internal and external reporting. I started my role at the beginning of the year. At this early stage of the project, there are some days I feel I make little progress in terms of documentation, but a lot of progress in terms of getting people introduced and able to work together, which is one of the main principles of Agile. On days like this I think back to the Agile Manifesto. 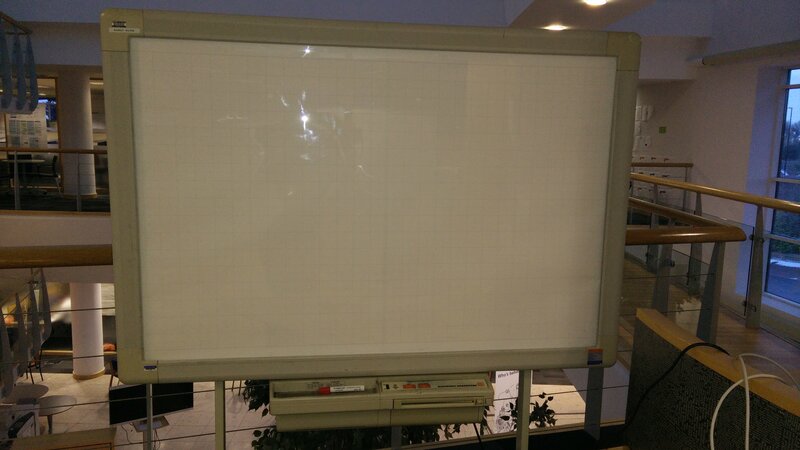 Everyone is settling in after our recent move to a larger room, and we also managed to ‘find’ an interesting whiteboard: it’s powered, it rotates, and it can print! I have no idea how old this thing is but it still works and still has paper. It’s one of the most horrible yet brilliant things I have come across in a long time, and it gave us all a smile. It’s the small things! We have set up storyboards for each chunk of the project that needs to be transitioned. We also have a template vision board, a roadmap, risk issues and blockers boards, and a board to show the progress we have made in Discovery with all outstanding tasks detailed. I am aware that we need to play catch-up in gathering the new reporting requirements, but this is a much smaller piece or work. We also plan to run Trello boards for the alpha and beta phases of the project to track development progress. My question for you is: are we missing anything? Lovely to see you blogging. I was the delivery manager on GOV.UK and, from afar, it looks good. My advice at this early stage would be 'draw the thing'. Have some visual metaphor - a conceptual model of your vision. Pictures beat words and will help align the team and your stakeholders around the thing. Thanks for the advice, I really appreciate it. To date we have created storyboards showing the various user journeys related to different parts of the system that are being transitioned, the architect has also created a diagram to show the flow of data into the new system that has been presented to wider stakeholders to aid them in the understanding of the proposed solution. It has been a much easier way to represent what we are doing over a text document and would recommend it to others in the future.